To compare and detect possible differences between the digit length and digit length ratios in left- and right-handed female and male students. One of the cerebral hemispheres is dominant over the other. Knowing a person&#8217;s dominant hemisphere can be a useful guide in some personal activities. Materials and methods: Digit lengths (D) of the students were measured, followed by calculating the ratio of each digit to the others (1D:2D, 1D:3D, 1D:4D, 1D:5D, 2D:3D, 2D:4D, 2D:5D, 3D:4D, 3D:5D, and 4D:5D). Results: In males, no significant difference was found between digit lengths and digit length ratios. Among left-handed females, the fifth digit length was significantly longer. The 2D:5D, 3D:5D, and 4D:5D ratios were significantly smaller in their left hands, which indicated that the fifth digit was longer in left-handed females. Conclusion: The results of this study suggest that left-handed women could be especially successful in sports that require grasping a ball. This criterion should be considered for left-handed women while selecting athletes. ISNAD KOSİF, Rengin , DIRAMALI, Murat . "Comparison of all hand digit length ratios in left- and right-handed individuals". 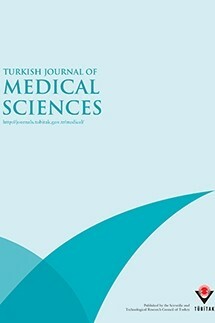 Turkish Journal of Medical Sciences 42 / 3 (March 2012): 545-552.